Karachi is Pakistan’s largest city, the second most populous in the world and the capital of Sindh Province. A port on the Arabian Sea and the Gulf of Oman, it is a megacity of 20 million inhabitants (more than double of London). In the 1940s, American servicemen dubbed it ’The Paris of the East’  and the city was the main stopover for flights and ships passing through the region. With Dubai now as the main stopover, Karachi faces environmental and structural disorder, with an estimated 500,000 street beggars and a private security industry generating ($6,000,000) six hundreds of millions of dollars in business each year. How does Karachi’s socio-economic structure and history affect the aural landscape of the city? A common practise in field recording is the creation of a “Sound Map” . A problematic approach, “sound mapping” generally ignores the political and contested nature of cartography. While artistic and fruitful projects, they are often subjective and rarely accountable to the societies they chart. Defining locales by purely aesthetic concerns, does the process of mapping merely capture ‘spectacles of sound’. 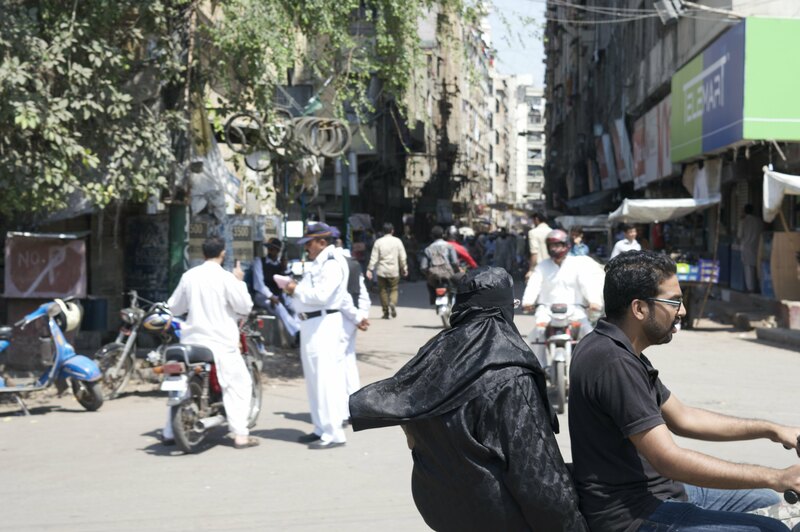 The field recordings from Karachi that we sample in this month’s PoL are prompts to these concerns, eliciting a series of questions about the nature and composition of society in general, and the one in which they were recorded. What can actually be detected about the economic, social and environmental aspects to city structures through sound? Does the appearance of class and status have a corresponding echo in sound? How to develop forms of class-conscious listening and, perhaps more importantly, does one’s own position affect the angle from which one records? This talk forms part of an Arts Council supported series by Bradley and Weaver in October. Work from their research in Pakistan, includes weekly broadcasts on UK’s art-radio station Resonance104.4FM and a two week exhibition of works made by Bradley and Weaver at I’Klectik Art Lab, Waterloo running from the 13th until the 27th of October.